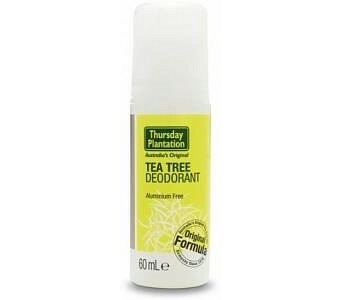 Original formula Tea Tree Deodorant provides protection against odour - causing bacteria to help keep you fresh and dry. Features and Benefits Suitable for everyday use Prevents body odour Ideal after shaving/waxing Directions For external use only. Use liberally as required Duration of Use No restriction on duration of use. CAUTIONS AND CONTRAINDICATIONS Discontinue use if sensitivity occurs. Do not apply to broken skin. Keep out of reach of children. Medicine Interactions None known.